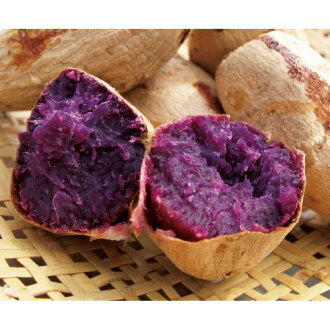 Purple Murasaki Yams, Kumquats, Dragonfruit and Meyer Lemons are just a few of the specialty produce items we purchase when available through Goodness Greeness. I am especially excited to see these available in our area. My fondness of purple yams began as a teenager traveling in Japan where I experienced the deliciousness of vibrant lavendar soft twist ice cream that was YAM flavor. Oh, wow. If you all don’t scoop these up this week, I might have to try my hand at homemade ice cream!